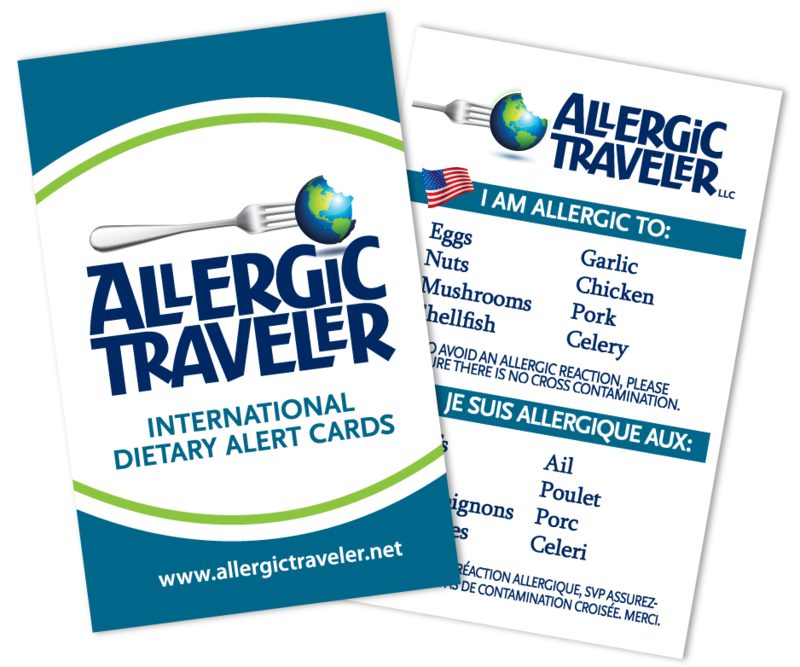 Total Allergens allowed on a card is eight (8). Note - all cards are bilingual, English and the selected language. If a bilingual card is not required, then please select just English. Thank you! You will get a set of whichever you select, in other words either a set of wallet cards or a set of luggage tags. 2 Wallet Cards per set. Total includes shipping & handling cost of $5.95. Enter your discount code here. We hate these things as much as you do, but using them helps to fight spam and increase security for your information.